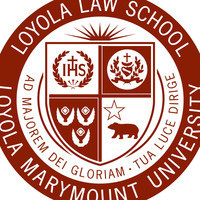 Loyola Law School will hold its 22nd-annual Western Conference on Tax Exempt Organizations with a schedule that features panels led by some of the country’s top tax-law experts. This program will run Thursday, Dec. 6 and Friday, Dec. 7 at the Omni Hotel in downtown Los Angeles, and allows attendees to choose from more than 12 sessions on tax developments of critical importance to charities and other nonprofit organizations. The program features an array of prominent tax-exemption experts, including Professor Ellen Aprill, a WCTEO founder and the John E. Anderson Chair in Tax Law at Loyola Law School Los Angeles. Other panelists include officials from the U.S. Department of the Treasury and the IRS, plus a variety of prominent West Coast tax lawyers.